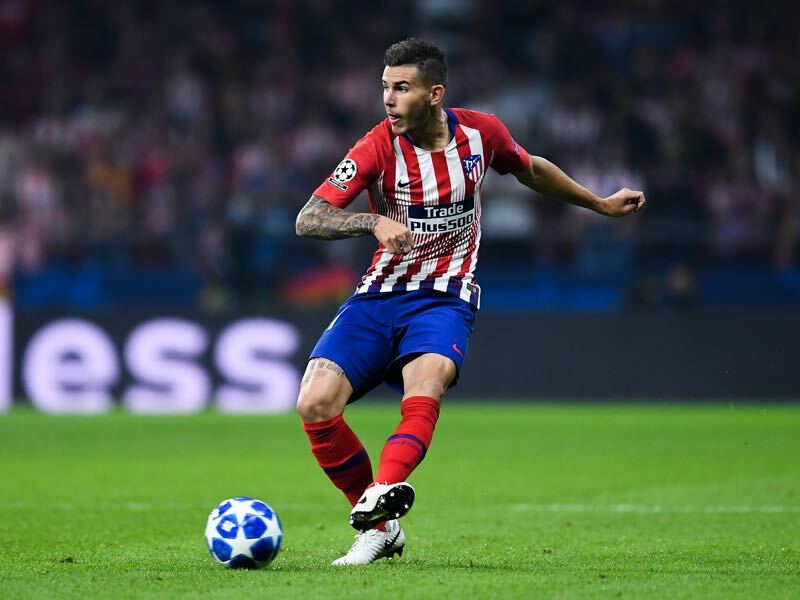 Lucas Hernández – What can he add to Bayern? Lucas Hernández to Bayern München. It was one of the biggest transfer topics of the January transfer window. Would Bayern take a gamble with online betting from BetEasy and shell big money for the defender? Reports from Spain at the time suggested that Bayern would be willing to break their internal transfer record fee of €41.5 million, which they paid for Hernández’s French national teammate Corentin Tolisso in 2017. According to a report by the Spanish newspaper Marca, which was published on December 19, 2018, Bayern were willing to pay €80 million to activate the exit clause of the Atlético Madrid defender. The story was quickly refuted by Atlético Madrid. But it quickly emerged that there was more to the deal. But throughout the January transfer window rumours on a potential transfer heated up. “We will see if we will do something in January. We cannot confirm nor deny it,” Bayern CEO Karl-Heinz Rummenigge said following Bayern’s 1-0 victory over RB Leipzig on December 23. “I have a great relationship with the Atletico Madrid president. In Spain, they have exit clauses that can be triggered at any moment, and that is, in this case, certainly an advantage,” Rummenigge added. “Let us see what will be under the Christmas tree,” Bayern head coach Niko Kovač added at the time. The statements by Bayern suggested that a transfer was imminent but ultimately the player would not end up under the Christmas tree. That, however, does not mean that the transfer is off the table. In fact, Lucas Hernández was approached by Bayern in late December and Bayern appeared to be willing to trigger the clause to sign Hernández this winter. The deal, however, fell through in the winter as the Frenchman has told his teammates that he would not leave them halfway through the season. At the same time, reports suggest that Bayern have agreed personal terms with Hernández and that the transfer has been postponed after Atlético’s board had spoken to Bayern’s board to keep the player in Spain for now. It is a sort of gentlemen’s agreement that is quite common between bigger European clubs. Atlético Madrid, after all, were still hoping that they could reach the final of the Champions League, which the club will host this season. Looking back, it might have been better for both clubs to get the deal done. Atlético, after all, were eliminated by Juventus, despite winning the first leg 2-0 at home, and Bayern crashed out of the Champions League after being eliminated by Liverpool. Lucas Hernández, in the meantime, missed the round of 16 of the Champions League with a knee injury. We will never know what will have happened had both clubs agreed on a deal. At the same time, there is no doubt that Bayern need the fresh blood that Lucas Hernández will bring to the side and going by reports in Germany the deal is very much in its final stages. The defender would join France teammates Corentin Tolisso, Kingsley Coman and Benjamin Pavard, who will join Bayern from Stuttgart in the summer. With Hernández and Pavard, in fact, Bayern would have finished off a significant section of their rebuild. The two defenders are not only capable of adding fresh blood to the centre-back position where either Jérôme Boateng or Mats Hummels (perhaps both) are expected to leave the club in the summer but can also add depth to the wing-back positions. What can he add to Bayern? Bayern lack depth on either wing at the moment. Joshua Kimmich on the right and David Alaba on the left are the only two players in the squad that can comfortably play that position – Rafinha on the right will leave the club and while Alphonso Davies has played as a left-back past experience shows that the position is less than ideal for him. Hence, Lucas Hernández would add depth in two positions for Bayern. At the 2018 FIFA World Cup Lucas Hernández, in fact, primarily operated as a left-back, providing both stability in the back but also provided some overlapping attacking runs that led to two assists in seven games. Interestingly enough like it is the case with Benjamin Pavard at VfB Stuttgart this season, Lucas Hernández has somewhat struggled at Atlético Madrid this season. Often struggling with injuries, the 23-year-old has played just 44% of all possible minutes in La Liga this season. Nonetheless, his numbers remain impressive. The defender has completed 84.5% of his passes this season and managed to complete 45.5% of his on average 4.46 passes per 90 minutes. Interestingly enough Lucas Hernández would be, on a first glance, be a downgrade to what Bayern have in Boateng and Hummels in those categories. Boateng, for example, has completed 89.4% of his passes and 57.8% of his long 11.5 long passes per 90 minutes this season. Hummels, in the meantime, has completed 91.6% of his passes and 55.2% of his 6.74 long passes per 90 minutes. Both those numbers are outstanding but also have to be taken into context of Bayern’s dominant playing style in the German Bundesliga in comparison to Atlético’s more workmen like approach. At the same time, the numbers are also significant. With Niklas Süle, Benjamin Pavard and Lucas Hernández Bayern are bringing in a new generation of defenders. All three have the potential to one day reach the level that Hummels and Boateng have shown over the last decade, but at the same time, Hernández’s numbers also show that despite his €80 million price tag he is not going to bring instant salvation to a Bayern side in rebuild.